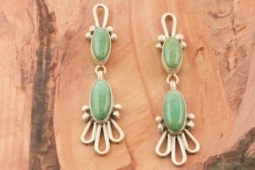 Genuine Carico Lake Turquoise set in Sterling Silver Post Earrings. Carico Lake Turquoise has an astonishing color palette. Ranging from highly unique electric greens to sky blue; from teal to mossy, earthy greens. Carico Lake Turquoise is mined from a dried-up lake bed in a remote part of Lander County, Nevada. 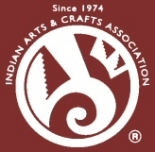 Created by Navajo Artist Carol Wylie. Signed by the artist.